At long last, this is the Season 2 Premiere! We kick off the new year with human rights lawyer and LSUC Bencher, Raj Anand. Topics include: conflicts with religious rights, family status discrimination and re-trying human rights claims. Raj Anand is a partner with WeirFoulds LLP in Toronto and he practices in the areas of human rights, constitutional law, administrative law, labor relations, civil litigation, professional negligence and discipline. He is a former chief commissioner of the Ontario Human Rights Commission and he presently acts for complainants and responds in Internal Investigations in Ontario and Federal Obligations. He has always acted as a Board of Inquiry under the Ontario Human Rights Code and the Police Services Act and as co-chair of the University of Toronto Tribunal and a counseled to a number of administrative tribunals. He has also acted for a number of parties in Public Interest Litigation and Commissions Inquiry. 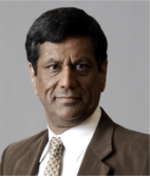 Outside of his professional career, Raj has taught as an active professor at Osgoode Hall Law School and the University of Toronto, and has also spoken and written on diverse subjects including trial, appellate, and administrative advocacy in human rights. In 2003, Raj received the Law Society Medal, which is the highest honors awarded by the governing body at the legal professional of Ontario. And since 2007, he has served as a venture of the Law Society of Upper Canada.